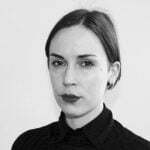 Dr Jordan Lacey is a transdisciplinary creative practice researcher and lecturer in the School of Design at RMIT University, teaching creative practice research methods and sound studies. He is author of Sonic Rupture: a practice-led approach to urban soundscape design(Bloomsbury 2016), and various articles, which explore the role of sound installations in transforming urban life. Originally a musician and sound-artist, Jordan has become increasingly focussed on the urban environment as evolving into sites-of-encounter that might exceed the typical day-to-day functions of city life. He has produced numerous sound art installations (see: hiddensounds.com.au), funded by government and industry partners, that seek to influence approaches to urban design. Recently, he has become interested in posthuman critical theory as a means to question the meaning of being human in a changing world, and the ways in which sonic practices might contribute to this conversation. This recent turn has influenced his arts and teaching practices, in which the practitioner is asked to interrogate equally their assumptions about the world and the objects of their inquiry in the creative practice research process. 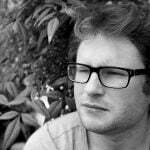 Jordan is the recipient of an ARC DECRA (2019-21) grant, researching methodologies for the translation of ambiance between environments.